Beyond Fest has just announced that they will be hosting a massive David Cronenberg retrospective this year during the festival. Thirteen films from the director's filmography will be screened at the festival. Cronenberg will attend a small number of those screenings with special guests. So if you want to see one of Canada's national cinematic treasures in person you will want to get tickets for Dead Ringers, Naked Lunch, The Fly, Videodrome and Existenz first. Fill up on the rest of course, because Cronenberg is awesome. 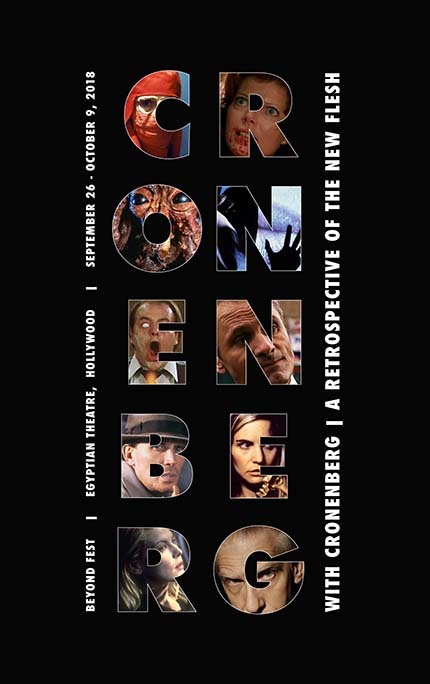 Beyond Fest, the highest-attended genre film festival in the U.S., is excited to announce Cronenberg with Cronenberg: A Retrospective of the New Flesh- an exhaustive,13-film celebration of the legendary autuer’s career. 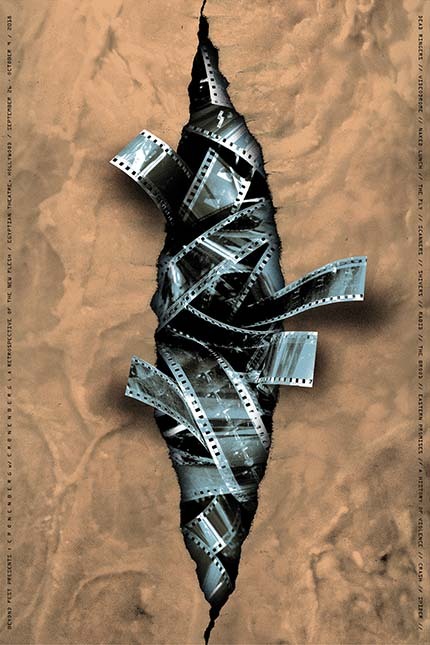 Returning to Los Angeles for the first time in a decade, David Cronenberg will be in attendance for three, special event screenings at the legendary Egyptian Theatre where he will be joined by actors, collaborators, and guest moderators. Cronenberg’s groundbreaking approach to the distorted world of virtual reality is exaimined on Monday, October 1st with a double bill of VIDEODROME and EXISTENZ. Cronenberg will be joined in person by composer Howard Shore and his two lead actresses, Debbie Harry and Jennifer Jason Leigh. Director Leigh Whannell will moderate the Q&A between films.